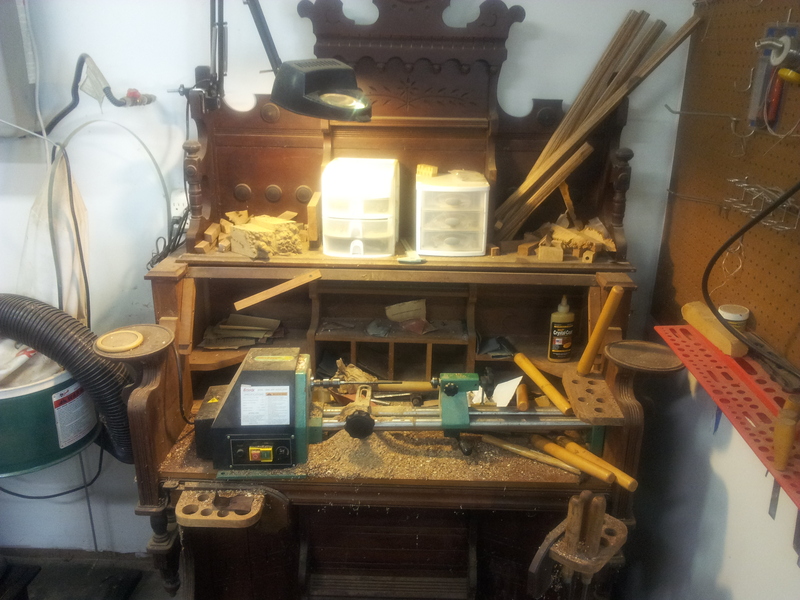 As most shops go, the landscape of tools and benches is constantly changing. 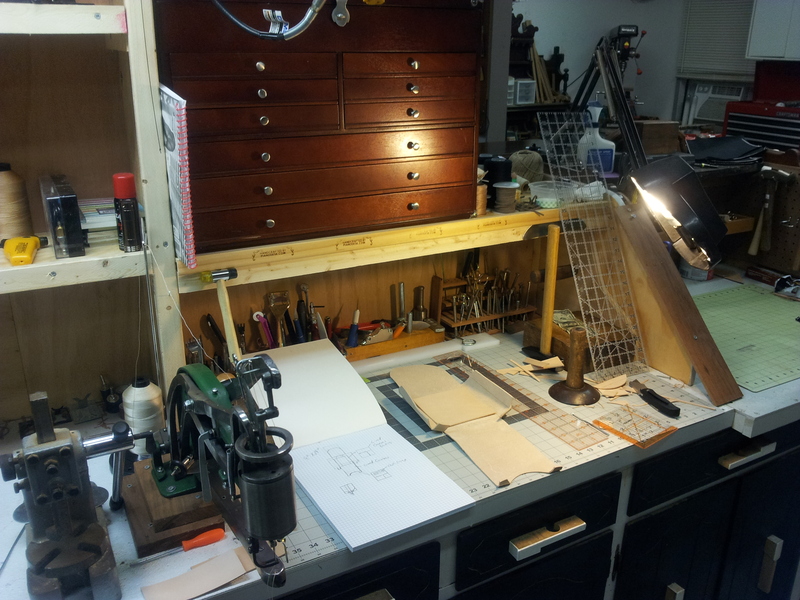 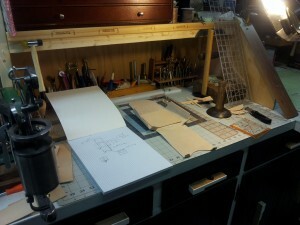 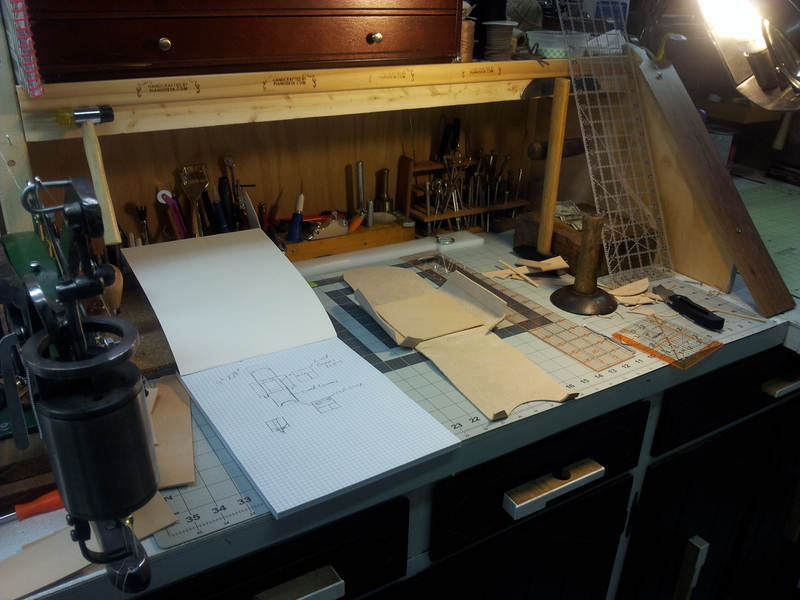 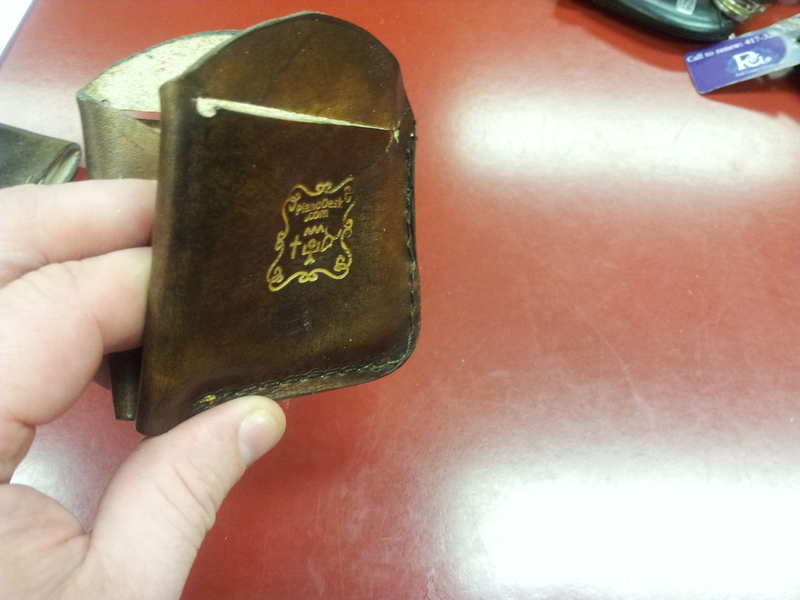 Here are the most recent changes I have made with the addition of a leather working area. The video at the end will take you through the shop as it stood early this summer. Below is a shot from September 2003 during construction of the shop. 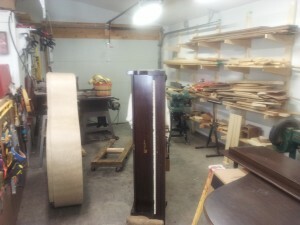 New Leather Upright Piano Workstation: See this post for more. 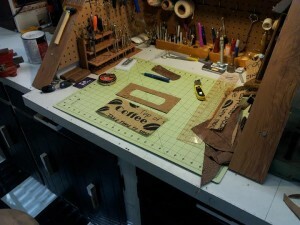 Leather working area. 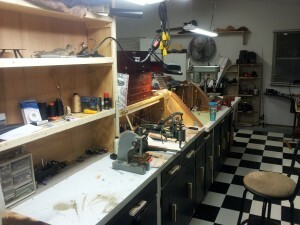 Finishing station, one ton press, shoe patcher, cutting areas. 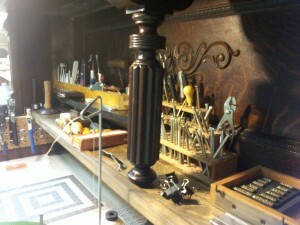 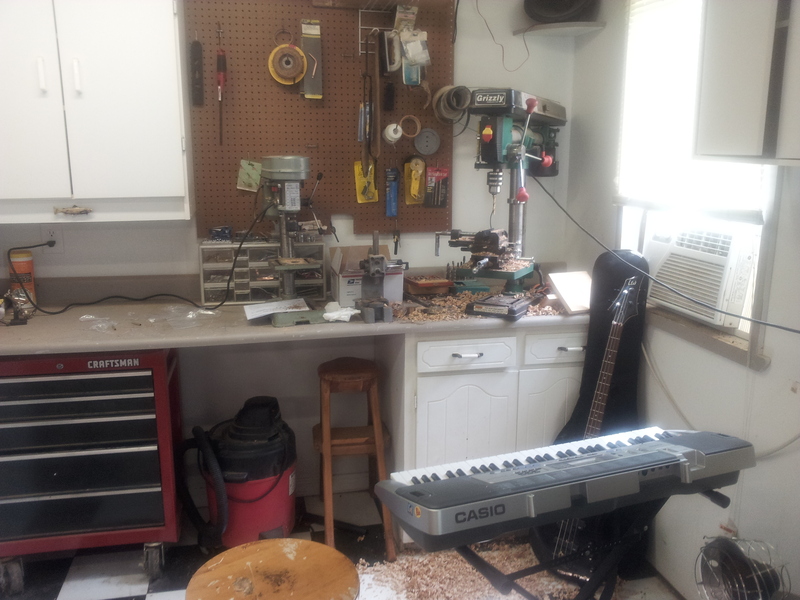 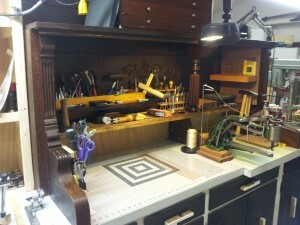 Notice the grand piano at the end of the workbench holding my power tools. To the right of that shelf is the lid made into a sewing table. 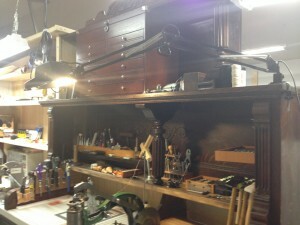 View the video below for a shot of that table. 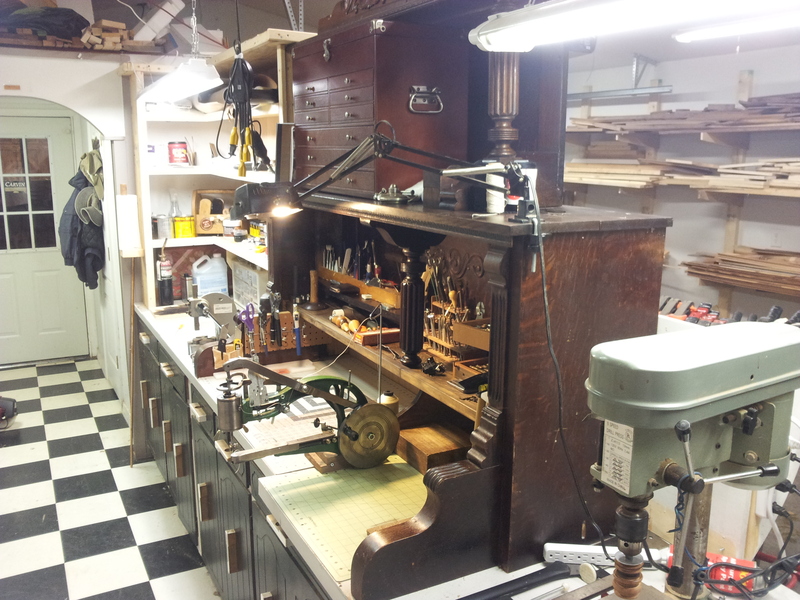 Pen turning desk made from an old pump organ. 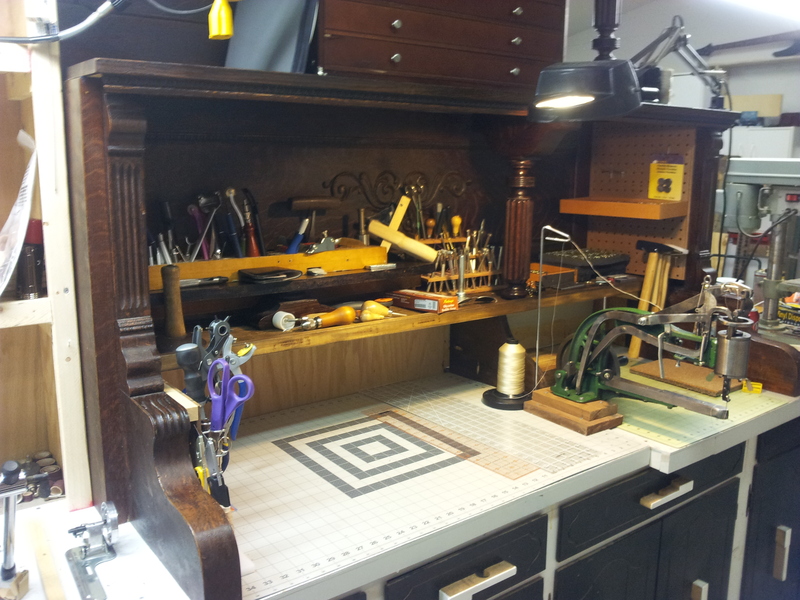 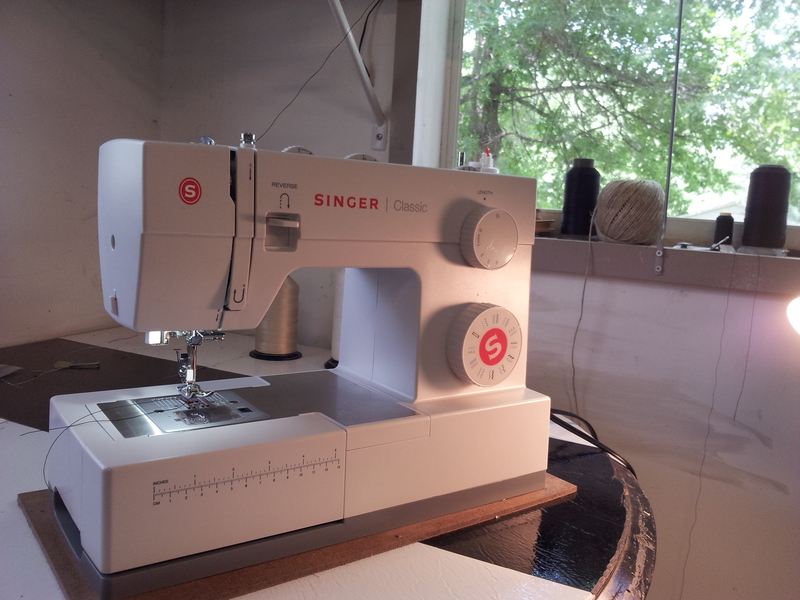 Sewing machine table made from a grand piano lid. 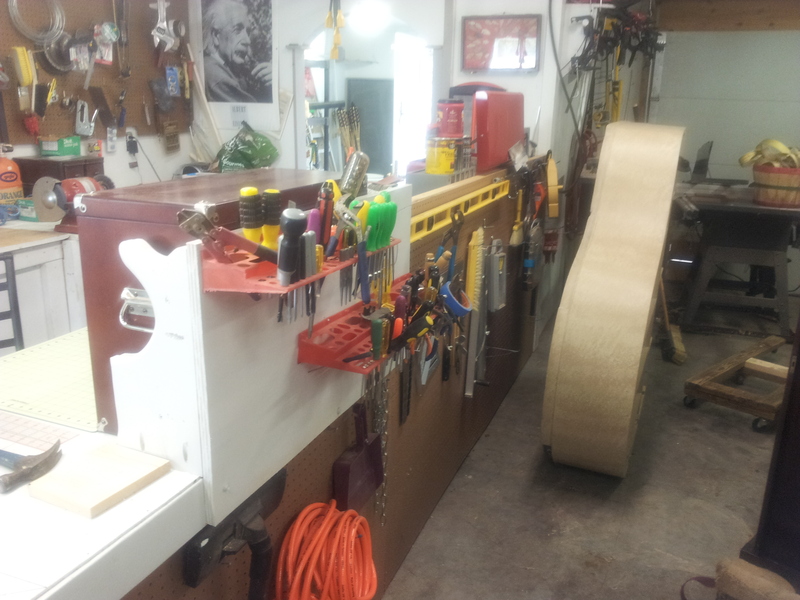 Main work area, tool storage, wood storage and assembly area. 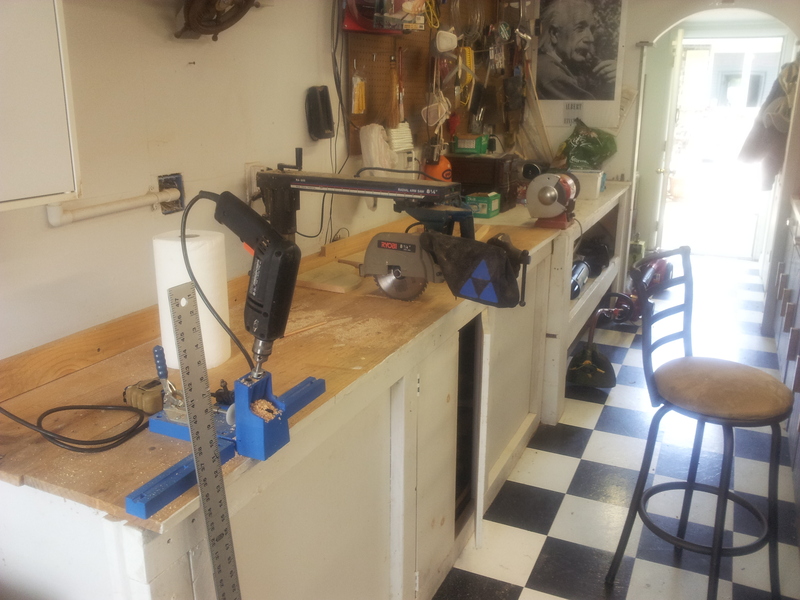 Drill press table. 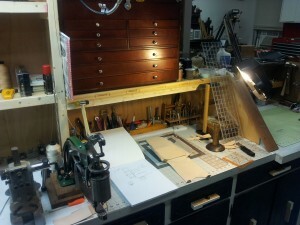 Cutoff table and Craig Jig opposite leather bench. This is an older video earlier this summer. I will eventually shoot an updated view of the completed shop when all projects are out for the summer.